Sold by flexmu and ships from Amazon Fulfillment. 5.0 out of 5 starsGreat movie if you forget it's "Shakespeare"
There have been several good movie versions of the play over the years (the 1954 UK version with Laurence Harvey and Zeffirelli's 1968 classic) and several unwatchable ones (Luhrmann's butchery). For me this one rates as good as any. I can see why teachers pan it in their reviews as it takes great liberties with Shakespeare, but viewed solely as a movie, it's great. The director moves along at a fast pace, concentrating on the love scenes and numerous sword fights and manages to keep the tension mounting even though you know what's going to happen. As to the acting, any movie with Damian Lewis and Paul Giamatti is worth the price of admission, but the kids are effective too. It's the only version I've seen where you are aware the lovers are basically children. Douglas Booth comes across as exactly the pretty, loopy, impetuous teen boy a fourteen year old girl would fall for and he manages to deliver his lines clearly without sounding as though he's in a play at the Old Vic. Steinfeld's performance is more questionable. She certainly looks the part but she speaks her lines in the rushed, breathless way today's teens talk (I assume this is deliberate as she's a good actress) which means some of those so-well-known lines you are expecting are thrown away or barely audible. Even so, the fact that she is clearly a child (something Hussey and other predecessors failed to do) gives an overly well known story a fresh dimension, so I actually found myself caring what happened even though I already knew the outcome. Taken as a movie, not "Shakespeare", they did a great job and it's well worth watching — even though you know the story. This movie has my favourite Benvolio performance in a movie, and that's saying something considering I loved Dash Mihok in the 1996 version. But Kodi Smit-Mcphee is even better. The soundtrack didn't seem all that remarkable at first, but darned if it didn't get into my head and I ended up purchasing the CD. The costumes are also lovely and the sets beautiful. But outside of those great things the movie is all over the place. I miss some of the classic Shakespearean dialogue; it can be jarring to my ears to hear the lines modified when I know them so well. Romeo and Juliet are very bland and rush through a lot of their lines. But there are little additions that I think work very well, such as actually seeing Rosaline onscreen for a moment or two, and hinting that Benvolio might be interested in her (there's a funny bit where Benvolio is acting as Romeo's wingman at the Capulet party). There's an additional scene expanding on why the letter to Romeo was delayed, and I liked replacing the minor character Balthasar with Benvolio to bring Romeo the (supposed) bad news about Juliet. And there's Stellan Skarsgard as the Prince. Everything's a little better with Stellan Skarsgard. While this version will never replace the Zefferelli and Luhrman versions in my affections, there's still room on my DVD shelf for this one. I watched this film in the theatre and more recently again back to back on DVD against the 1968 version by Franco Zeffirelli. The newer film suffers by comparison. There has been a general criticism of the acting. I don't disagree (although I really liked Damian Lewis as Juliet's father). It looked much better on the large theatre screen which tended to play up the detail of the costumes and the magnificence of the sets. There's also a lot more information available to the audience. Shakespeare was never easy reading. To that end, the 2013 film has more extended scenes, is spoken in plainer English, and is in general easier to follow. Rendering the dialogue in plainer English, however, does not give the actors license to make it sound conversational. Shakespeare wrote it as a play for the stage of his times. Olivia Hussey sounds far more Shakespearian than Hailee Steinfeld and she renders Juliet with a lot more gusto and passion. Although not a sterling effort, neither is the movie lackluster or cheap-looking. 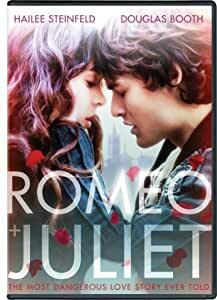 Romeo and Juliet still delivers the emotional impact its author intended. The sense and drama underlying the original story still shine through. 1.0 out of 5 starsNo - just no. Ugh. This version is horrid - my grade 9s made me stop it about five minutes in. Apparently someone thought it would be a great idea to 'American-English' the play, but still set it in historical Verona. It was a painful beginning of Act 1. Stick with the Zeferelli (which they all are surprised to love and more surprised at how old it is) and the awesome and much-loved Luhrmann version. A wonderful version of the classic. It doesn't stay strictly to the Shakespeare script, but you still end up happy with the result. It tenderly portrays just how young they actually were and what tragedy can occur when needless animosity and contention are allowed1 vn to fester unchecked. This is a beautiful version of Shakespeare's tragic love story. The acting, the costumes, the setting- all brilliantly done! Please note that the script does stray from the original play, yet this well done and does not take away from the overall themes or story of the original play. Most "famous" quotes are included, but some artistic liberties have been taken in the script of this movie. I highly recommend this movie!! 1.0 out of 5 starsNot worth it, especially if your'e a teacher. As a teacher, I had picked this up in the hope that it would be a new version of the play by William Shakespeare. 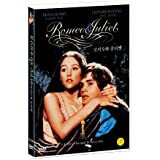 In particular, I had hoped for something modern that could be used to supplement or even replace the Zeffirelli version from 1968, which, while a classic, definitely does show its age at times. Unfortunately, I found this not to be a very good version of the story at all--I should have, perhaps, read the liner notes more carefully. It's an 'update' of the story using modern language, and has made some pretty important changes to the story and setting (I don't recall jousting being part of the play). As a film, it's really not all that enjoyable, either. The only bright lights are Stellan Skaarsgard and Paul Giamatti, who are doing the best they can with the script they've got.